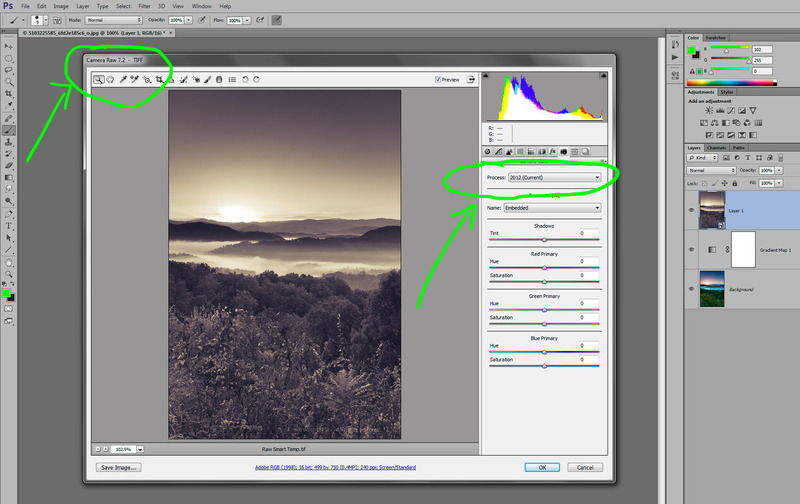 Luminous Landscape Forum > Raw & Post Processing, Printing > Adobe Camera Raw Q&A > Lightroom rendering. If you export as TIFF from LR 4.2, you should be able to open the tiff in CS5 without any issues. 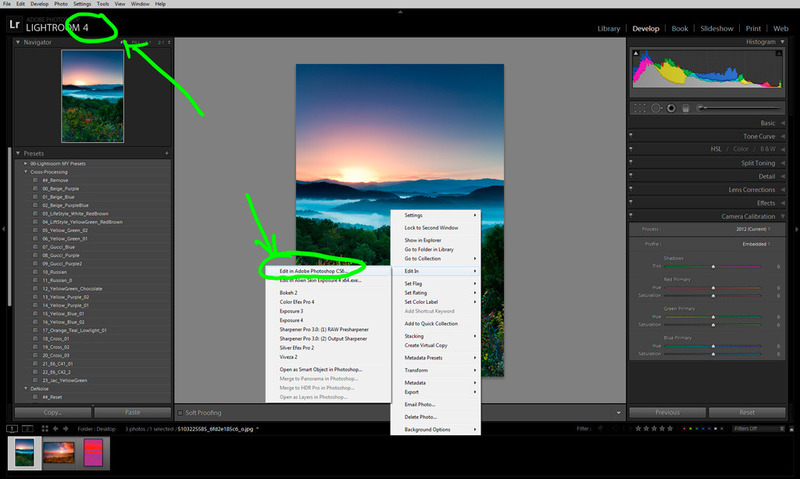 I can open the Tiff without issues and the image looks fine but from a technical point of view there must be a difference between opening the image in CS5 using 6.7 and opening an image in CS6 using 7.2? As stated I wasn't able to install CS6 - which I believe was a common problem - therefore I can't see for myself and buying Elements would be cheaper. Regarding CS6 I don't really see anything that makes it a "must buy" upgrade. My understanding is ACR6.7 will open a file that was adjusted using ACR7.x and will use PV2012 to open the file, but you can't make adjustments to the RAW file with ACR6.7 in CS5. 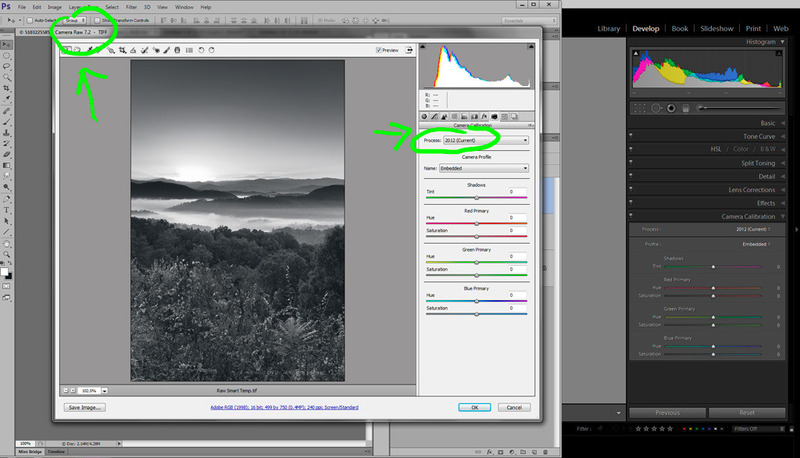 This makes CS5 and Lightroom 4 compatible, but you must make all adjustment to the RAW file using Lightroom 4 if you want to use PV2012. You may want to upgrade to CS6 because Adobe is changing their upgrade policy and you will not be able to upgrade to CS7 from CS5, only from CS6. Stamper, recently I purchased LR4 instead of upgrading from PS-CS4 to PS-CS6. I’ve also read Martin Evening’s LR4 book. So, I’m far from an expert, but it appears that exporting a photo from LR to PS for additional editing, using LR’s rendering, gives essentially the same result as if you had CS6. The difference is that, if you did have CS6, then PS could use ACR7 to process your RAW file (using your LR settings) and then open from ACR a tiff version in PS (which can be a smart object). The only real difference I’ve discovered is this smart object difference. I can’t open my LR files in PS as smart objects. 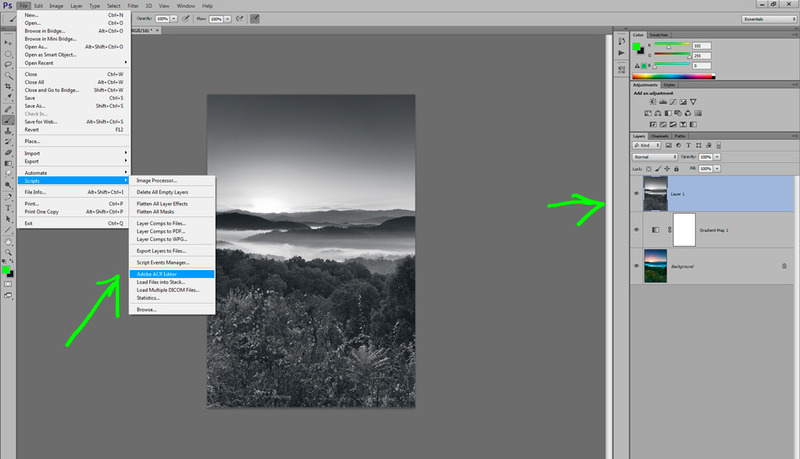 So after I make some layer edits in PS, I can’t just open the smart object to tweak my LR settings. Instead, I have to tweak my original LR version, and open it in PS, drag it onto the layered version and use it to replace the background layer. The end result is identical, but not as quick or easy as using a smart object. It’s not a big deal for me since I don’t process a lot of photos, but others may find it a much bigger hassle. Slobodan & dmerger thanks. I am seeing things a bit clearer now. The difference between 6.7 and 7.2 seems to be smart object processing. Not a big deal? A pity Adobe didn't make 7.2 available for CS5 but obviously it is a selling point for CS6. I can sleep easier now and hopefully the nightmares I have been having about the differences will now cease? one of the reasons it is so often suggested to well archive your original raws (and backup) because of the processing advances version to version, not the obvious bells and whistles. 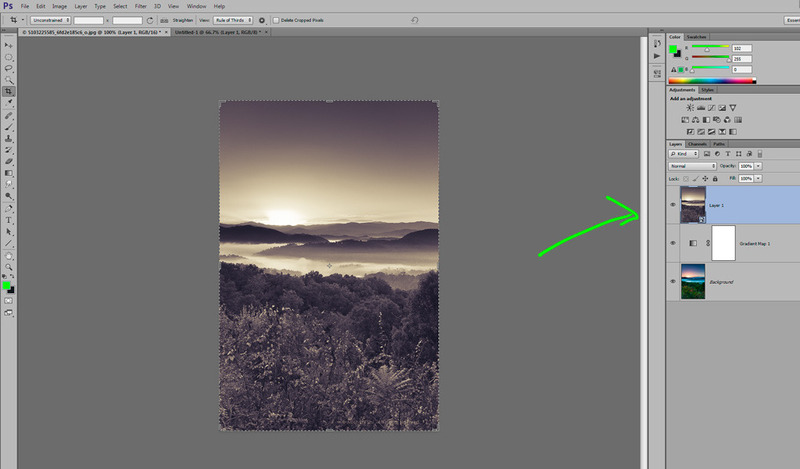 You can even open a layer in ACR directly from Photoshop. Yes, you can have your cake and eat it too. Your ACR must be a different version from everyone else? ACR can't handle layers. Ignorance may not be bliss from time to time. Google is your friend. You can't...once an image is open you can't send it to ACR. Unless you had opened the image in Camera Raw and proceeded to open the image in Photoshop as a Smart Object, the layer or the image is no long capable of being used in ACR. You'll have to flatten the image and save it as a JPEG or flattened TIFF. Once a layer is flattened it is no longer a layer but part of a Tiff - or jpeg - and can't in reality be regarded as a layer? Opening Tiff's in ACR is normal practice and can't be regarded as a Hallelujah moment? I don't know if you were trying to hoodwink the posters in the thread or you didn't genuinely understand the process. BTW the script for what it is worth won't run in Process 2012 because it uses fill light as part of the process so won't be terribly useful to LR 4.2 users. The topic of the thread was LR 4.2. Yes, I am more ignorant but Dr. Brown's script works flawlessly with ACR 7.2 in 2012 Process between LR and PS on my machine. And here is the proof. What is the difference between using the script and opening a Tiff that has been exported to ACR and saved and opened again in ACR? Convenience? I haven't used the script but if it has Fill light as part of it must be using version 2010? Back to the main point, a layer can't be opened in ACR/LR? I have looked again at your link and what I see is a layered image that has been merged and opened again in ACR. It states that merging layers becomes part of the image. Your original post about editing a layer in ACR/LR isn't possible. DR Brown is being a little obtuse in his thinking to promote a script he has created?